The second reason we had gone to Kent was so we could take a train into London and go the the Tower. Neither of us had been before and we were joined by my Little Bro and his Lady for a family catch up too. Happy days! The Tower was all you would expect it to be (after the huge queue to get our tickets but it was a bank holiday!). 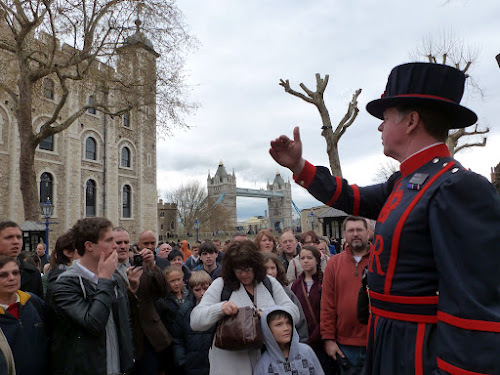 We joined a tour given by Simon the Beefeater who relished scaring the kids in the group with tales of blood, dungeons, torture, executions and more blood! He insisted on lots of audience participation too with boos and cheers. It was great fun with enough facts thrown at us within the space of an hour to make our heads spin - but not roll. 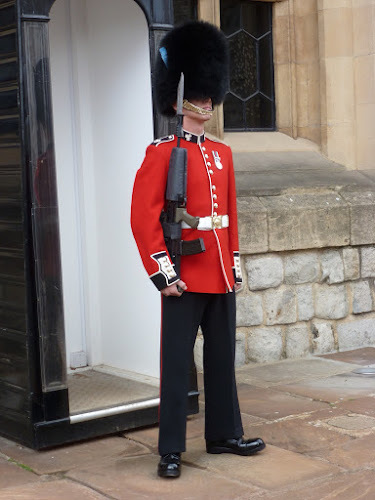 He told us that no one knows why the Yeoman of the Guard got the nickname "Beefeaters" but it may have been because they were in the service of the king and therefore well fed! 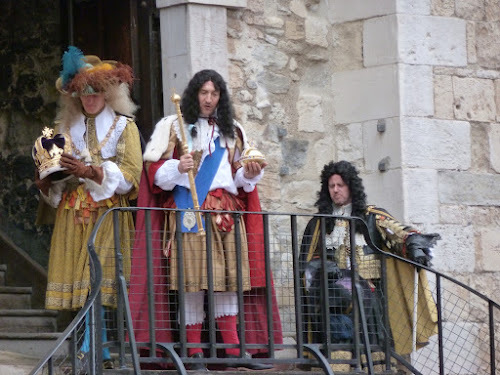 Even when we were queuing see the crown jewels there was plenty going on around us, like King Charles II being crowned. We had to look very, very, very closely at this Guard who was sooooo still we really did wonder if he was real or a waxwork. Then we saw him breathing! How much self discipline must it take to stand so still on a shivery April day?! We were suitably impressed. 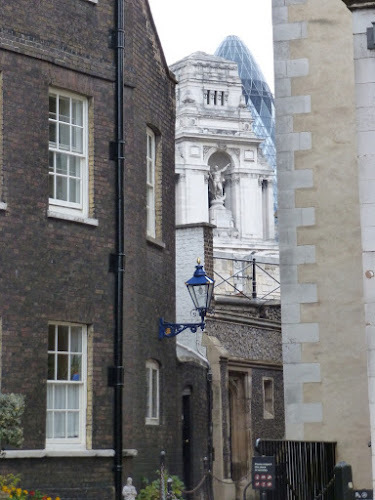 London is such a crazy combination of new, old and just plain ancient. This view covering about 700 years of building was taken from the spot where private executions took place within the Tower. 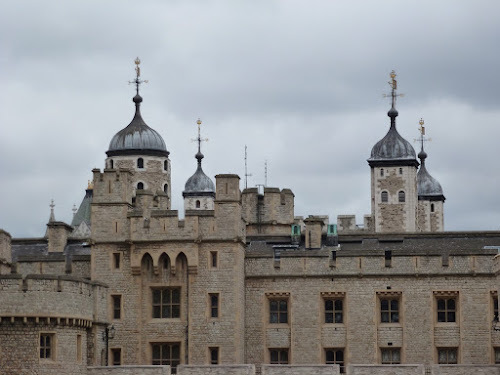 Most notably, it's where Anne Boleyn, Katherine Howard, Lady Jane Grey and the 70 year old last surviving neice of Edward IV, Margaret Plantagenet placed their necks on the scaffold. Remarkably, old Margaret gave the executioner a run for his money literally and refused to go quietly. She ran round Tower Green until she was caught and dragged back to the block. (Well that's what Simon told us.). As Himself pointed out, in our two days we had seen where Anne Boleyn started and ended. It was really interesting to hear all the different languages from all the foreign visitors checking out our heritage. We got chatting to a nice couple from North Carolina visiting the UK for the first time. They were impressed how clean London was. That made us blink! It's good to hear other people's views of our country and notice things we don't think about or appreciate.